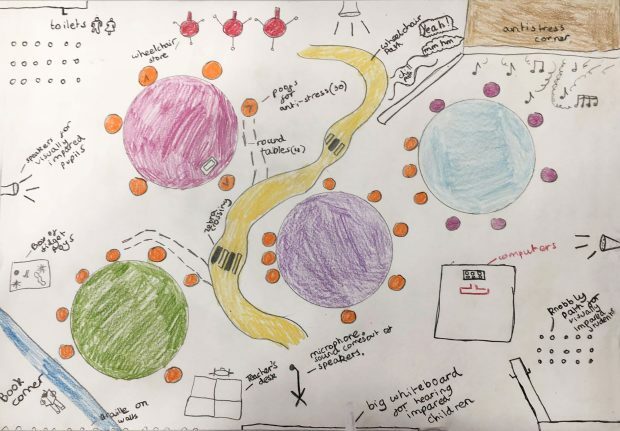 Last month, Ed Horsford and I gave a talk at Weston Park Primary School in north London on how we design government services to work for people with access needs. Both of us are design leads at the Government Digital Service (GDS) and we were invited as part of the school’s first Inclusion Week. We presented to 250 children ranging in age from 5 to 11. 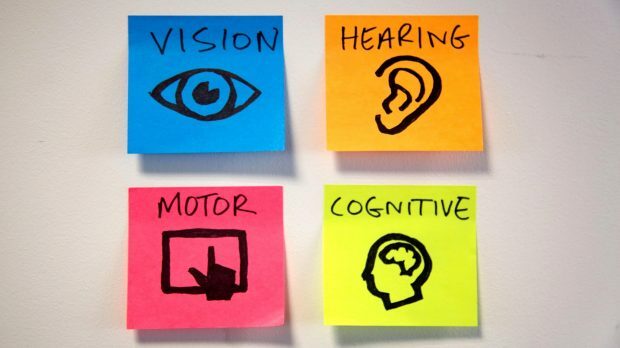 We broke the talk down into 4 of the main access need areas – vision, hearing, motor and cognitive. We then outlined to the audience the key difficulties people might have in these areas when using government services. We went through some of the technologies and devices people may need to use when they have certain access needs. We showed some videos of people expertly using screenreaders. The children were impressed at just how efficient people can be when they use screenreaders with a fast reading speed. 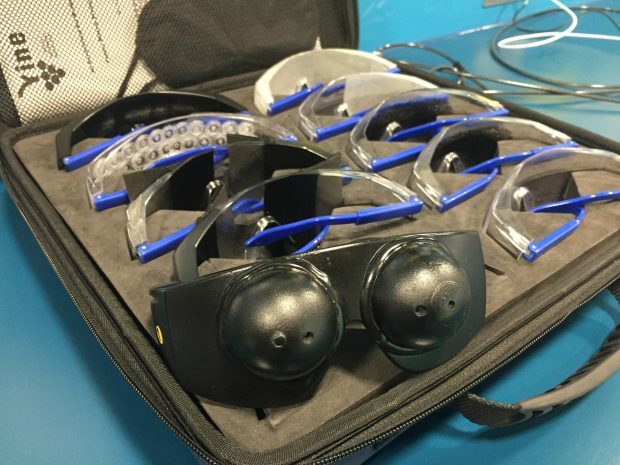 We also showed the pupils some of the tools designers use to empathise with those who have visual impairments. We demonstrated the visual impairment simulation glasses that enable us to understand what it might be like to have accessibility needs. At GDS we have an empathy lab where government employees can test out software on assistive technologies. It also helps raise awareness of accessibility. We discussed with the children how we do user research with people who have a wide range of access needs. We explained that if these users struggled with our website, it’s our fault, not theirs. We then try to fix the issues they find. An example of this has recently been blogged about by Ed, when he discussed what we learned from getting our autocomplete tested for accessibility. Throughout the talk we heard some really interesting stories about how some of the kids use tools such as reading magnifiers to help them overcome their own access needs in the classroom. After the presentation, the children were then asked to break up into groups and design a fully accessible classroom, taking into account some of the things they had learned during our talk. If we were speaking to a smaller group, another option could have been to let the pupils try some of the assistive technologies we discussed during the presentation. It was a really interesting morning spent at the school. Both Ed and I are quite used to speaking to rooms full of adults. But, 250 children is something we weren’t used to and didn’t quite know what to expect. The children were fully engaged and amazingly well behaved. We had pupils coming up to us after the talk and telling us about skills such as British Sign Language and Braille that they were learning to help communicate. It was great to see initiatives like this being run in primary schools. As well as having us into speak in the school’s Inclusion Week, there was also a wheelchair basketball team visiting and a dyslexia seminar happening. Thanks to Weston Park Primary School for having us in to speak. If you would like GDS to come in and speak to your school, please email ucdcommunity@digital.cabinet-office.gov.uk.